Petar Dobrinović (1853-1923), better known as Pera, was a talented Serbian theater actor and director in the Serbian National Theatre in Novi Sad and Belgrade National Theatre. The monument was erected in his honor in front of the Serbian National Theatre. 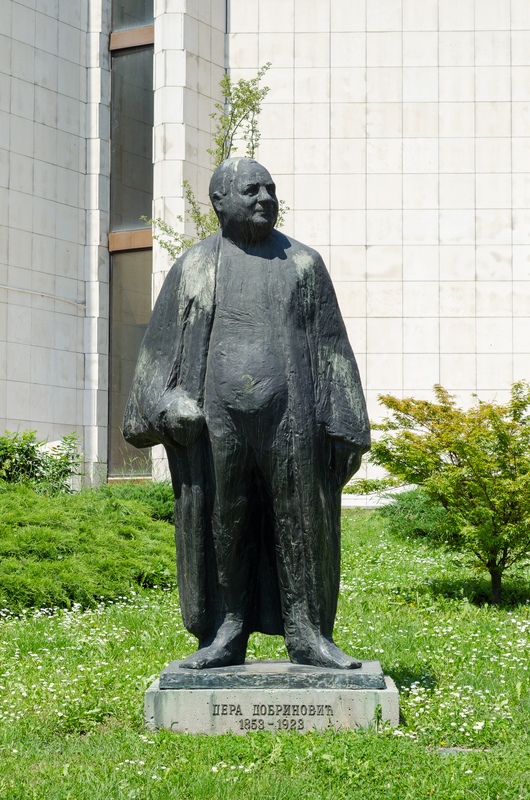 It is the work of prominent Belgrade sculptor, Milanko Mandic Manda, who identical represented Petar in the form of sculpture in 1981. This monument was the first monument erected to the actor in the former Yugoslaviaa.